Traffic Estimators are pretty useful sites for a certain demographic. Not everyone has need of one, but they come in handy when you’re a marketer looking to say, figure out how much traffic your competitors are getting. You can estimate their traffic and compare it to your own to get a decent idea of how well their marketing strategies are working. Of course, all of this relies on the traffic estimator working well enough to provide you accurate information. There are a lot of different estimators out there, but the two biggest options are Alexa and SimilarWeb. I’ll be comparing them both. No traffic estimator will be perfect. The only way to see an accurate traffic number for any site is to have analytics code running on that site. You can see your own traffic within Google Analytics – kind of – but you can’t see the traffic on another website without having internal access to their data. So why do I say “kind of” when talking about Google Analytics? The fact is, Google often applies statistical sampling to their reports, in certain circumstances. If you’re just checking traffic numbers, it should be accurate, but be aware that there’s always that chance. Determine how much traffic your site received in that time frame, via an Analytics app like Google Analytics or Raven Tools. 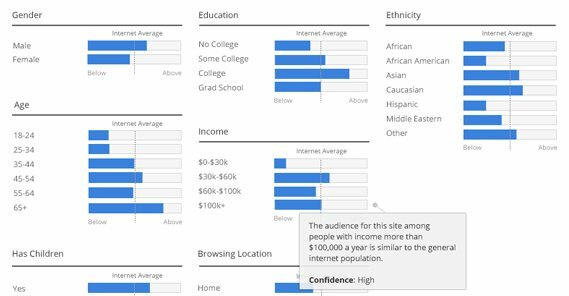 Check Alexa, SimilarWeb, or another traffic estimator to see what they estimate your site traffic to be. Compare the data several times over the course of several months as your traffic changes, particularly if a spike happens due to a viral post or marketing push, and check how the estimators account for it. This may or may not cost you money, depending on the traffic estimator you’re using. In fact, accounting for price is pretty important, so I’ll discuss that later. 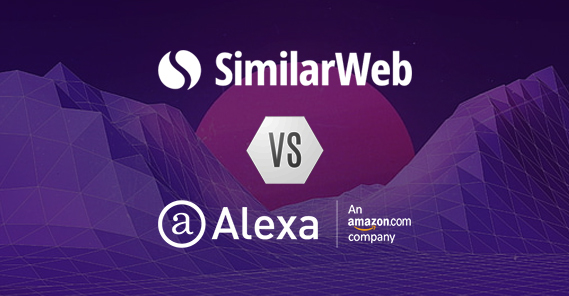 Both Alexa and SimilarWeb are large, enterprise-grade companies offering a huge wealth of information. It stands to reason that they both have sizable indexes and data sources to use. But what are those data sources? SimilarWeb has an entire page dedicated to their data. They combine four groups of data for their analytics. They have panel data from partner apps that send them analytics information. They have ISP data with a similar story: ISPs send them anonymized user behavior data for analysis. They have public data sources they scrape on a monthly basis. And they have data they measure directly from sites that use their other services. 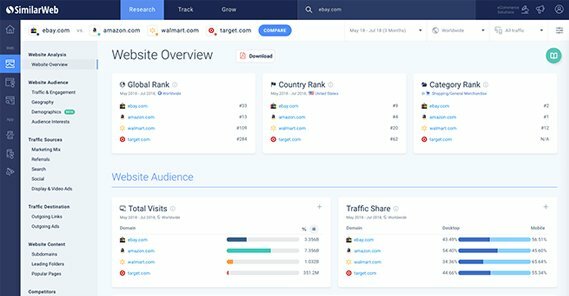 Essentially, hundreds of millions of user devices globally are running at least one app or service that gives data to SimilarWeb, and they are able to analyze that data in broad terms to estimate how users behave. Alexa is, meanwhile, an Amazon company. They, too, have a page for their data sources, though it’s less of a landing page and more of a help center article. They maintain data from a huge number of apps and other data sources, and they apply statistical sampling to a lot of it. Alexa only considers domains, and don’t pay attention to subdomains or specific pages, so you’re only able to estimate traffic for domains as a whole. They also tend to focus on large sites, so smaller sites are more likely to be inaccurate. 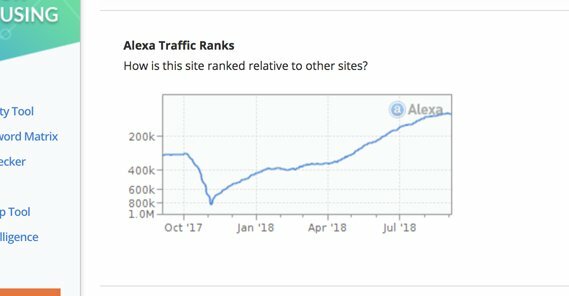 Alexa’s main claim to fame is their global web rankings, which again tend to apply more accurately to large scale websites and get fuzzy with smaller sites. As such, Alexa Rank isn’t really that important. If you’re big enough for ranking to be accurate, you’re too big for it to matter, if that makes any sense. Pricing is pretty important when you’re considering any sort of analysis or data suite, so it should come as no surprise that I’m going to look into it. On the other hand, basic traffic estimates aren’t usually anything more than the hook they used to get you to buy other features. Does this hold true of these two services? SimilarWeb has two plans: free and enterprise. The Free plan is very basic. It lets you get five results per metric you search, and it gives you one month of mobile app data and up to three months of web traffic data. For most sites, this is three months of data. Sites that have apps to access their content, like YouTube or Facebook, would give you inaccurate information after one month, but it’s also not that useful for most small-scale sites. Many sites don’t have app-related data sources anyway. 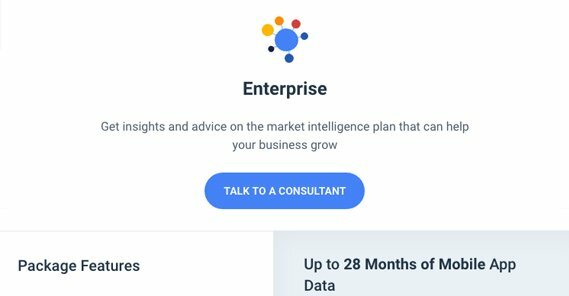 The Enterprise plan has unlimited results, over two years of app data, three years of web traffic data, and a lot of deep segmentation for that data. Popular pages, keyword analysis, engagement, desktop and mobile splits, and so on are all available. As for the pricing, they don’t list it publicly anymore. I’ve seen quotes ranking from $200 per month to much, much higher. Alexa has a lot of services that aren’t relevant to our traffic estimation discussion. 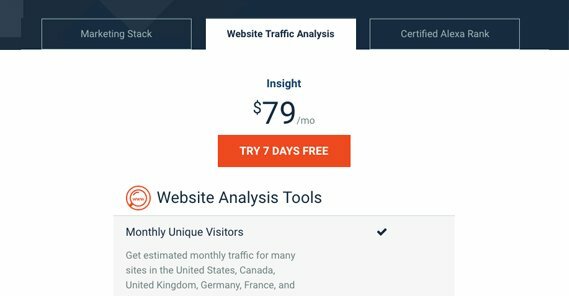 If all you want is traffic analysis tools, you need to get their website traffic analysis plan, which is a flat $80 per month with a one-week free trial. It gives you monthly unique visitors, site overview metrics, site comparisons of up to ten sites at a time, historic trends for three years, and a bunch of other data. If you want additional tools, like site audits, keyword research, and other stuff on this list, you’ll need either the $150 per month plan or the $300 per month plan, depending on how many sites and users you want to access it. Note that you can get very, very basic metrics using the Alexa SiteInfo tool, but most of the data is hidden; it’s a teaser for the paid plans, not a real tool. They also estimate their data pretty heavily, so how accurate it is may vary. Be Aware! The Alexa graphs they show you are not traffic numbers. They look like they’re upside down, but they also show small sites starting at 1 million, which is very, very much not what you’re getting traffic-wise. The fact is, those are charts of the Alexa Ranking, not traffic. Traffic is only one part of the Alexa Rank, so don’t confuse the two. This is where things get tricky. Every traffic estimator out there is going to be using some variety of data sources, and none of them are going to be completely accurate short of Google Analytics or similar on-site analysis code that can track individual viewers. Even then, you may get viewers that block scripts and thus aren’t recorded. 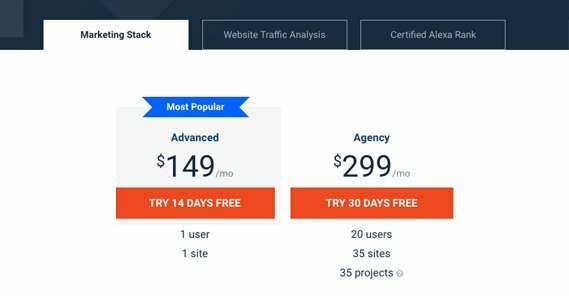 SimilarWeb seems to be one of the most well-regarded traffic estimators on the market. 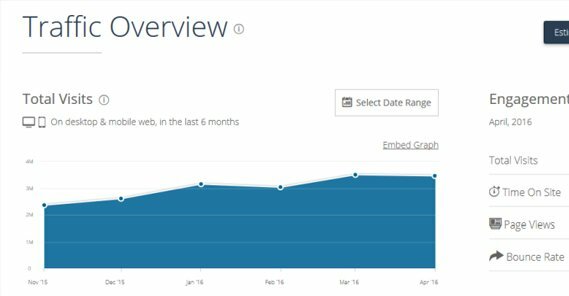 Several tests I’ve seen – like this one and this one – indicate that SimilarWeb is fairly accurate, at least in terms of trends. Since they sample data from a variety of sources and apply assumptions to it, they have to consider biases and data sources. For example, most tools seem to underestimate sites that have a lot of traffic from narrow, long-tail sources. Given the modern trend of long-tail keyword targeting, this means tools need to broaden their informational base or they will be increasingly inaccurate. Among them, SimilarWeb seems to be the most accurate. SimilarWeb also tends to overestimate data. For most sites tested – and I’d guess for your site as well – they would give a number between 1 and 20 percent higher than the actual numbers you’ll see in Google analytics. That said, their estimations are consistent; if your site is trending upwards, so are their traffic estimates, at about the same rate. That said, when SimilarWeb gets something wrong, they get it very wrong. ScreamingFrog’s test had SimilarWeb overestimating one site by a whopping 128%, more than double the actual traffic the site got. Imagine running it on your competition and seeing that! As far as Alexa is concerned, well, they’re in the toilet. First of all, many tests don’t even cover them, because to get traffic numbers, you need to pay. Those that do tend to trash them. Rand Fishkin was complaining about the inaccuracies of Alexa all the way back in 2012, where not only are their numbers off, but sometimes their trends as well. Adjustments for overestimation lead to a site dropping when it’s not, and it just becomes a mess. Rand followed up on this in 2015, with similar issues. 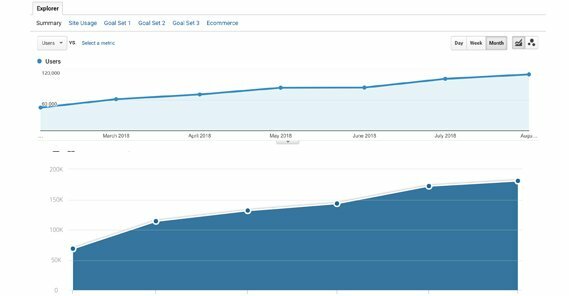 Neil Patel followed up on this with his own confirmation that Alexa, while potentially useful for showing some trends and other information, is not useful for traffic. Any time you’re using a tool for competitive intelligence, you need to understand that the tool is not working in objective reality. Any and all tools will be necessarily limited in the amount of data they can index and analyze. Much of this data is from data sources that are shared between different tools. This means a service either needs its own data sources or some other unique selling point to stand out from the competition. What this means is you need to compare apples to apples. If you’re looking at traffic numbers for a competitor on SimilarWeb, those numbers are almost guaranteed to be higher than what they actually are. 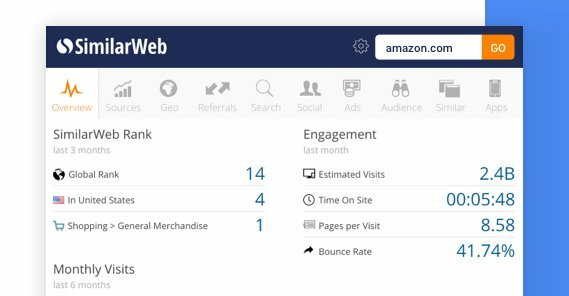 If you compare a competitor’s SimilarWeb numbers to your own Google Analytics numbers, you’re going to feel like you’re being left behind, every time. Instead, what you need to do is run the same SimilarWeb check against your own site. Benchmark yourself before you start benchmarking others, right? So which of the two tools would I choose? Personally, I’m going to go with SimilarWeb. It has too many benefits to ignore. First of all, SimilarWeb is more accurate in every test I’ve seen that involves both of the tools, and is more accurate than most other tools I’ve seen it compared to. The fact that you can get some data for free just for signing up is a very potent sell, so I’m not going to complain. Alexa costing money to even see traffic numbers, especially when those traffic numbers are so often just so wrong, rubs me the wrong way. The fact that Alexa Rank has been misused for decades by people who have no idea what they’re talking about – and by many who should know better – just continues to rub it in. On top of that, it’s an Amazon company, and Amazon doesn’t need the financial help. They could provide basic analytics for free, but instead they charge for inaccurate data. Now, all of this only really matters once you’ve built your site up to a decent position in the first place. If you have fewer than several thousand monthly visitors, the data is going to be irrelevant no matter what site you’re using. Your competition is either going to have too little data to estimate properly or they’re going to be bigger than you such that you’re not really competition. Grow more first. Go with SimilarWeb. Use their free account to benchmark yourself, and then check a couple of your top competitors. If you feel like you want more data, more benchmarking, or better results, pay for an account, but it’s not really necessary. There are better ways to get competitive analysis anyway. Does Having a High Alexa Rank Matter Anymore?